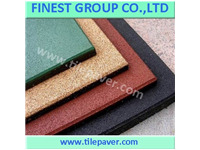 DESCRIPTION The playground rubber tiles are specifically designed to reduce the risk of serious injury associated with falls from playground equipment. 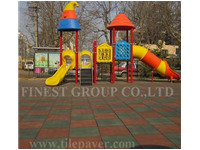 Safety playground rubber tiles are available in many different thicknesses to ensure the safety of children from different possible fall heights. A..
Rubber Tiles DESCRIPTION The Rubber Gym Flooring is perfect for general gym areas and functional training areas where lighter weights and kettle bells may be dropped. Commercial Rubber Tile offer excellent durability, performance and easy installation with no need for any nasty smelling glues or ad..
Poreless Rubber Flooring Decription: The Premium Crossfit Anti-Vibration Poreless Rubber Gym Tile has a hard wearing ultra fine granule surface layer and a medium granule base layer. 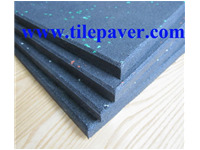 The Premium rubber tiles are more abrasive resistant than standard rubber tiles. 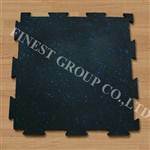 Simply lay each rubber tile on a fl..
Interlocking Rubber Tiles Description: Interlocking Puzzle Gym Rubber Tiles are made from heavy-density, recycled rubber tires, which is highly durable and flexible that will ensure the floor are protected from damage and marking by benches or other equipment. 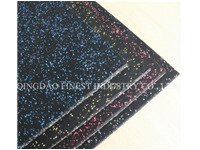 Black & colorful speckle Rubber Fl..
Dogbone Rubber Tile Model No. 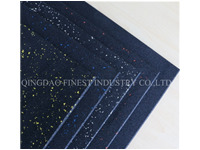 :FST0303 Size: 160 X200mm Thickness:25mm, 45mm Color: Red, green, blue, black, grey, and other is available according to the quantity Material: 100% recycled rubber granules. Package: By Pallet and Warped With Plastic Film 1. 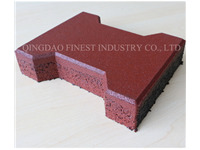 I brick paver, H shape rubber tile ..